Please check out the North American Laminate Floor Association for more information on Laminate Flooring. Laminate Flooring choices abound at Portland Flooring & Carpet of Tigard. Laminate Flooring is an excellent choice because no other type of floorcovering comes close in providing Portland homeowners with such a wide variety of options. Whether you’re looking for a rustic look like a hand scraped 12mm laminate floor or an elegant high gloss Brazilian cherry, laminate flooring will have the option you’re looking for. Laminate Flooring comes in various thickness qualities and in various wood types. Laminate flooring qualities mostly range in thickness between 7mm and 12mm thickness. Thicker laminate flooring qualities offer superior sound deadening quality and allow for more versatile finish options like handscraped finishes. 7mm and 8mm thicknesses are less expensive for the more budget conscious. 7mm thickness laminate flooring start at just 99¢ sq ft which makes it a great option for apartments and rental properties. Laminate Flooring provides extremely realistic simulated wood flooring looks, and superior scratch resistance to actual hardwood flooring. For a wide variety of Laminate Flooring Portland homeowners are looking for call one of the flooring professionals at Portland Flooring & Carpet of Tigard to arrange an in home estimate and design consultation. Alternatively, out flagship showroom is located at 3452 NW Yeon Ave in Portland, Oregon our showroom is open M-F 9-6, Saturday 9-5 and Sunday 11-4. Portland Flooring & Carpet & Tile provides helpful DIY (Do-it-Yourself) information for homeowners, as well as professional store guaranteed installations if you’d rather sit back and have your floor professionally installed. For a complimentary in home estimate, browse our selections online and fill our online form. One of our design consultant/estimators will call you back to set up an in home appointment. Alternatively, feel free to call (503) 388-6070 to have all your Tigard Laminate Flooring questions answered. 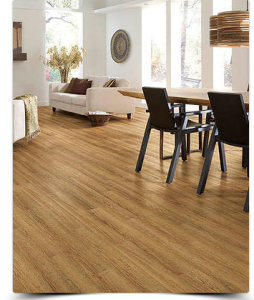 Portland Flooring & Carpet of Tigard is your Tigard Laminate Flooring Source. Browse our Selections Online. Call (503) 388-6070 for a Free Estimate.